The Amma’s Kerala Strikers Cricket team for this year's celebrity cricket league has been announced. 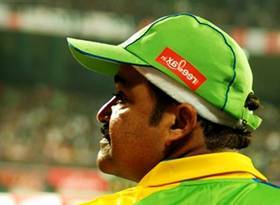 Superstar Mohanlal will lead the team with Indrajith as vice-captain. The matches will be played at Cochin , Chennai, Ahmedabad , Bangalore and Dubai between February and March 2013. Chief cricket coach – Pankaj Chandra Senan. Asst. Coach – M A Sunil. Malayalam actresses Bhavana and Mamta Mohandas will be the brand ambassadors of the team for this season. Mamta Mohandas replaces Lakshmi Rai.